Bestselling author Jerry Eicher concludes the Little Valley Series with one more glimpse into young Ella's Amish world. She loves the widower Ivan Stutzman's children and enjoys caring for them. Although she is genuinely devoted to Preacher Stutzman and keenly aware of his desire to propose, her feelings for him stop short of romantic love. Yet Ella yearns for marriage and wonders if what she and Ivan have is enough. When the handsome Englisha stops by and asks about converting to the Amish faith, Ella is intrigued and warily agrees to meet with him. Soon Ella realizes she's torn between her devotion to Ivan and his children and her growing feelings for the Englisha. With dire consequences at stake, Ella must determine what the truth is, if her feelings are dependable, and how to stay faithful to the will of God. 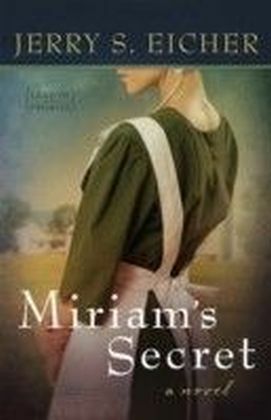 About This Series: The Little Valley Series follows Ella Yoder, a young independent Amish woman who has suffered the loss of her beloved fiance. Relying on her faith and the support of her community, she picks up the pieces of her shattered life and learns to live, love, and dream again.